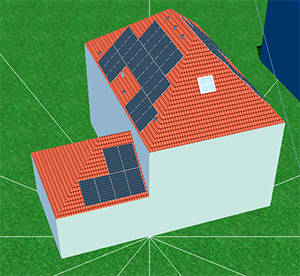 You will generate green power and use it, extra generation will go to the grid. Your local Hydro company will store this extra power like a battery. You get to use the stored power for free until it runs out. 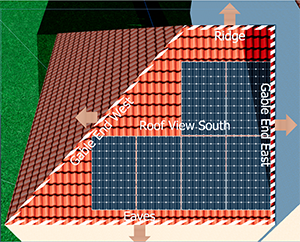 system could be sized such that your yearly need is 0KWh from the grid. You would only pay an admin fee. Payback at current rates is about 4 years. You will not pay, debt retirement, losses and all the other parts they add on top of your bill. Solar Panels + grid tie inverter ---> to a secondary meter to measure and pay you. Solar Panels + grid tie inverter ---> to your existing electrical panel to save you money. 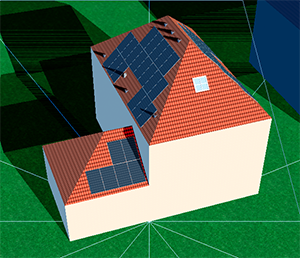 Figure 1: This 3D model shows solar panels placed on the roof and shows the location of the vents. Figure 2: Shows early morning Sun on 1-JAN-2011, shadows are long and we can see they fall on some of the panels. 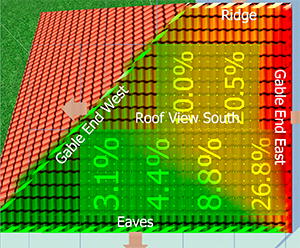 Figure 4: We can also analyze the overall yearly solar exposure and decide if it makes sense to place the panels in a specific area or not. Here green indicates total exposure and red little or none. Since we have room to move the top row to the left, we can gain more of the sun light and generate more power. Simulation shows this before installation and saves time and money. 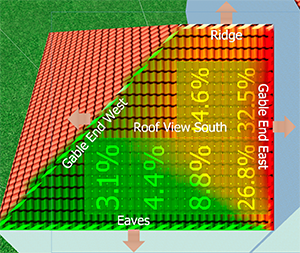 Figure 5: Compare this and figure 4. by moving the top row panels to the left, we managed to improve power generation 4.6% and 12% from left to right.